Crown height 4", circumference 23"
People will ask, “What's that on your head?” and all you need to say is, “It's a fez. I wear a fez now. 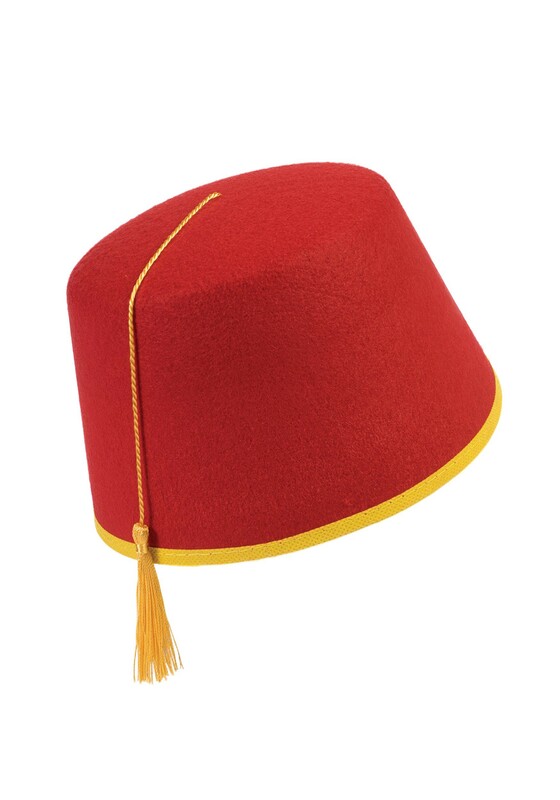 Fezzes are cool.” Whether you'd like to dress up in a Greek Cypriot in traditional clothing, as a modernized Ottoman soldier of the 17th century, or in a 20th-century gentleman's smoking outfit, this Adult Red Fez Hat is a must have accessory. With a disputed origin story, this iconic hat has made many different appearances throughout history. The fez was actually made illegal in the Turkish empire and other middle eastern countries in the beginning of the 1900's. Men wearing them were actually imprisoned! (maybe a bit of an overreaction...) Nowadays some nations see the headdress as a symbol of oppression while others see it as one of nationalism. This type of hat may be controversial and have an unknown origin but either way, as soon as you place it atop your head, you'll instantly look ten times cooler! It will make you appear as if you're part of some exclusive men's or women's club that only the coolest of the cool can be part of, and only as long as they have one of these classy felt fezzes. Fit great, and worked great!